We offer a full line of firefighting accessories, in compliance with NFPA standards for private fire protection. Our network can also help with local permitting and compliance requirements with our engineering packages based on the project needs. 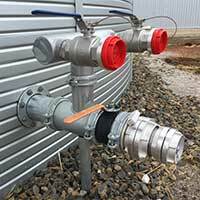 We offer a full line of firefighting fittings, manufactured to NFPA 22 requirements for water storage for private fire protection. Commercial grade sidewall access hatch options with several diameters to choose from that are lockable to prevent public access. All ladders are hot dipped and galvanized or produced in stainless steel, fiberglass, aluminum or powder coated steel. All commercial style of ladders accommodate external and internal platforms, requirements for cages and heights up to 26 feet. We offer commercial grade water level gauge options that comply with most local authority requirements. Our commercial ladders accommodate external and internal platforms, with safety rails manufactured to OSHA standards. 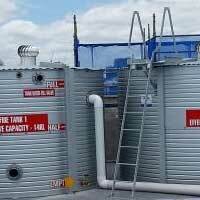 Optional seismic engineering packages require a concrete foundation, as do many local fire authorities for water storage tanks for fire protection. 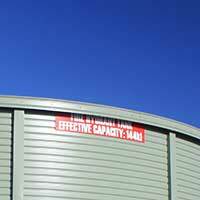 We offer fire protection signage and mounts for Pioneer Water Tanks based on local requirements. 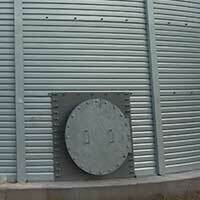 Airflow is very important when personnel has to enter the tank for routine maintenance or cleaning. Procedures for working in confined spaces are recommended. 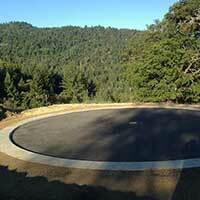 It’s important that residential and commercial water projects have the necessary equipment for the project. 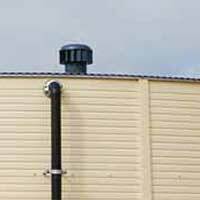 We offer standard and optional accessory product lines for water storage systems as well as engineering packages for permitting. 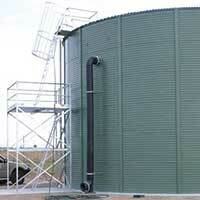 The following is a selectable image of an example of a public water system with a Pioneer Water Tank with optional commercial accessories. All ladders are hot dipped and galvanized or produced in stainless steel, fiberglass, aluminum or powder coated steel. All commercial style of ladders accommodates external and internal platforms, requirements for cages and heights up to 26 feet. We offer commercial grade sidewall access hatch options with several diameters to choose from that are lockable to prevent public access. 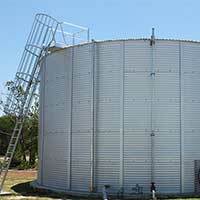 Pioneer Water Tanks are engineered as the top choice for fire protection water tanks that follow NFPA fire requirements. Pioneer Water Tanks provide a reliable source of water will help keep your property safe and will allow firefighters to have access to a steady water source in case of emergencies. Pioneer Water Tanks have been the resource to fight fires in Australia for over 27 years and now are becoming the gold-standard in fire protection across the world. 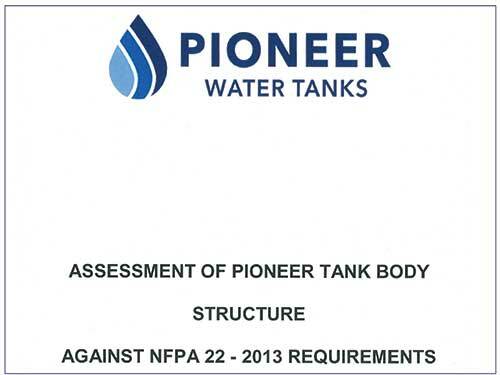 This report reviews the Pioneer Water Tank body structural requirements to NFPA 22 water storage for private fire protection.